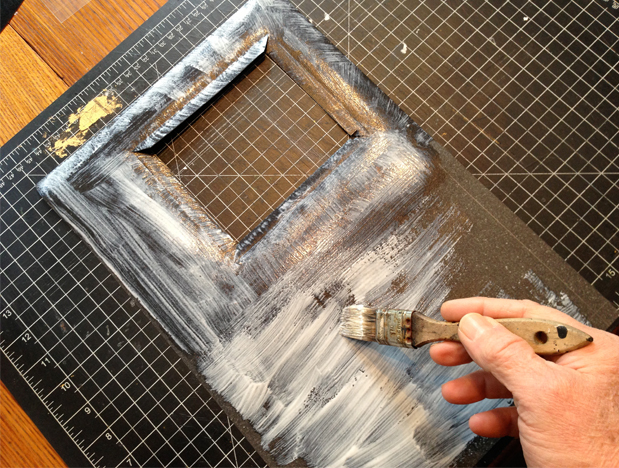 My alteration is a meditation on ownership and transmission. 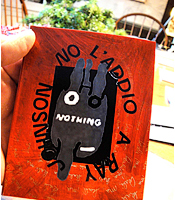 I have re-appropriate the Kindle electronic version and have returned it to the roots of bookmaking in the form of a handmade book. An endless dance of a common tale that has become common property and used by authors and illustrators alike to make a living. Once a rhyme that you could say aloud for free now exists on Amazon in an endlessly repeatable electronic format which renders it essentially free but now can be purchased for $4.99. In a fundamental way, the means of distribution of knowledge and opinion via the written word has aspects of power that define access and control. 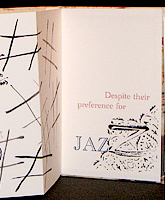 Starting with images scanned directly from the kindle, they are pigment printed on Arches Text paper, the cover embossed, tooled and gold leafed to bring out the keypad details. 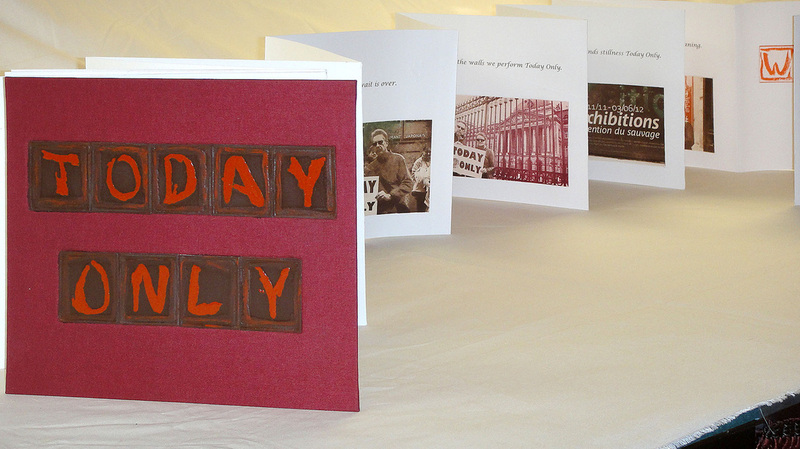 ​The Today Only artist book begins with the premise of impermanence, the temporal and the idea that action occurs in the present moment. 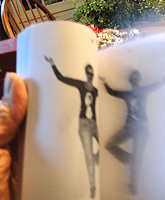 The book is also part travelogue as it documents performances of the Seeking Kali Collective in Belgium and France during the spring of 2012. 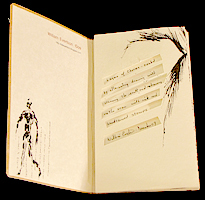 Consisting of 10 solarplate photogravures and additional embossing it was produced in an edition of six on Arches 88 paper with hardcover. Short passages of poetic commentary concerning each location accompanies the images. 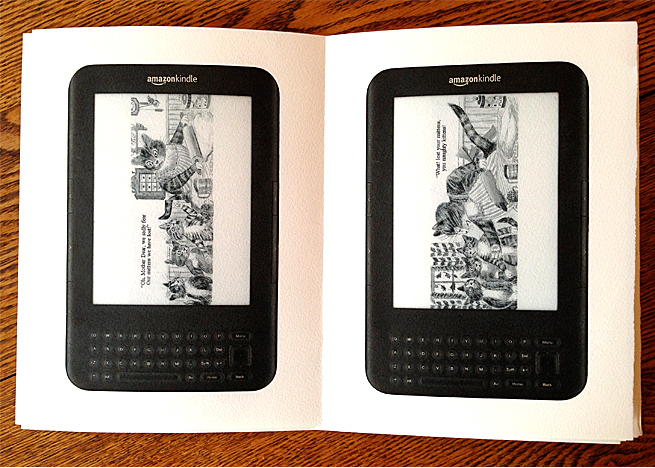 Book size closed is 10 by 11 inches and unfolded it stretches to 20 feet. 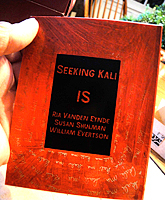 ​The Seeking Kali Portfolio contains six folios each by William Evertson, Susan Shulman and Ria Vanden Eynde. 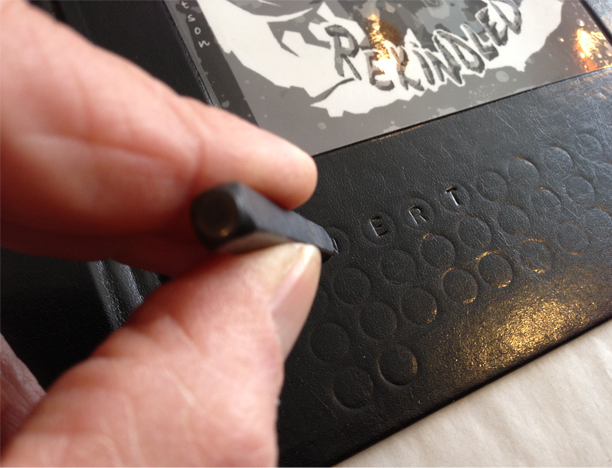 Each folio is printed front and back and housed in a handcrafted cloth hardcover drop spine box. The work are inspired by the original conversations among the artists regarding the manifestations and iconography of the Hindu goddess Kali. 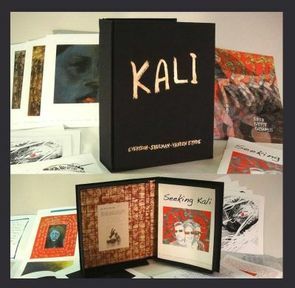 Edition of 9 portfolios with an additional 3 Artist proof portfolios. (unfolded folio size - 10" x 16" - archival pigment print on Moab Lasal 235gsm.) Available from TBCL, The Book Collector's Library. 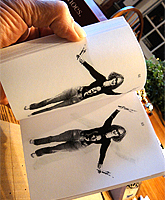 KaliRay Flip Book Softcover Artist Book 4.5" x 5.5" 120 pages In collaboration with Seeking kali artists Susan Shulman and Ria Vanden Eynde.